Thoracoscopy is a minimally invasive procedure that allows surgeons to examine the pleural lining of the lungs and the surface of the lungs. Internal images and video obtained from this technique help doctors identify signs of pleural mesothelioma such as inflammation, pleural plaques and pleural thickening. During a thoracoscopy, a sterilized flexible tube containing a small fiber optic camera called an endoscope is used to investigate the chest. This allows the surgeon to view your lungs on a video monitor. However, visual signs of disease are not enough to confirm a mesothelioma diagnosis with certainty. 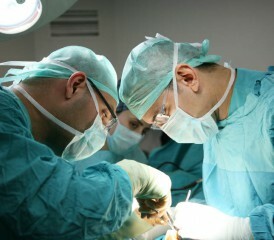 During this procedure, doctors can also perform a biopsy, a much more reliable technique for diagnosis. While viewing the pleural space through the camera feed, surgeons insert tools through channels in an endoscope that can collect multiple tissue samples. Pathologists can then view these samples under a microscope to rule out other chest cancers and make a mesothelioma diagnosis. Your doctor may also use the word pleuroscopy to describe this procedure. If surgeons use thoracoscopy to assist with a minor surgery, the procedure is often called video assisted thoracoscopic surgery, or VATS. Before the procedure, your doctor will first take a chest X-ray or other imaging scans to identify areas that may contain cancerous growths. The results of these scans can also help surgeons guide the camera and complete the procedure as quickly and efficiently as possible. Once an anesthesiologist provides medicine to put you to sleep, doctors will lay you on your side and make a small incision on your back near the tip of the scapula, or wing bone. Surgeons then introduce air into the space around the lung to deflate it and improve visibility. They then make two to three more incisions in your side or back to insert the instruments needed to complete the surgery — including an endoscope, which is fitted with a camera. While manipulating the endoscope, surgeons view the inside of your chest on a video screen. If a biopsy or other surgical procedure is being performed, additional tools for gripping and cutting will be used. For a biopsy, surgeons collect multiple samples of normal and suspicious tissues for further study. When the procedure is completed, surgeons place one or more temporary tubes into the chest to drain fluid and air. Surgeons then close the incisions using sutures or staples. The entire procedure generally takes between 45 and 90 minutes to complete. After the procedure, the chest tube must remain in place for at least two to three days, or until your lung fully expands without any leaks. To help relieve pain, doctors will provide medicine orally, through an IV and through the chest tube. To prevent pneumonia, nurses and respiratory specialists will encourage you to perform coughing and breathing exercises. One to two weeks after surgery, you will return to the hospital for a follow-up with your doctor. Few risks are associated with a thoracoscopy, and it is substantially less risky than a thoracotomy — a much more invasive open chest surgery also used to diagnose mesothelioma. Originally, researchers voiced concerns about tumor seeding after thoracoscopy. This rare complication involves unintentional tumor spread as doctors pull cancerous cells into unaffected areas while manipulating the camera. One study from 1995 determined that radiation therapy could be used to prevent tumor seeding. Out of 20 patients who received a total of 38 thoracoscopies, preventative radiation therapy resulted in zero instances of tumor seeding. 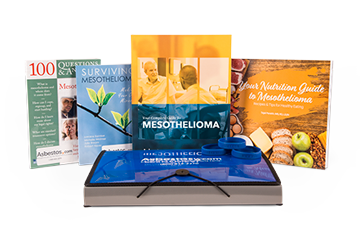 In the U.S. and abroad, research has demonstrated this procedure is a vital tool for diagnosing mesothelioma. Numerous studies report that diagnostic thoracoscopy is simpler, safer, less painful and virtually just as reliable as thoracotomy. In one study involving 188 patients with pleural mesothelioma, doctors performed a thoracoscopy to obtain biopsy samples. A French panel of mesothelioma specialists later tested the biopsy results in the lab and confirmed the presence of mesothelioma in all patients. Additionally, doctors were able to use tissue samples obtained during the procedure to identify the degree of cancer involvement in the patient’s visceral pleura, parietal pleura and diaphragm. The researchers were also able to determine the stage of cancer for each patient. Another study conducted in China included 19 patients suspected of having pleural mesothelioma. Using thoracoscopy, researchers were able to correctly diagnose mesothelioma in nearly 95 percent of the cases studied. U.S. researchers performed a retrospective study of 95 patients with pleural mesothelioma. After analyzing each patient for their mesothelioma subtype, the researchers diagnosed 75 with epithelial mesothelioma and 12 with biphasic mesothelioma. Thoracoscopy correctly identified the mesothelioma subtype in 94 percent of epithelial patients and 20 percent of biphasic patients. The study confirmed this procedure as a cornerstone of the diagnosis and staging of pleural mesothelioma, but found the technique to be less effective at identifying a patient’s histological subtype. In a 2016 study published in the Annals of Thoracic Medicine, Italian researchers evaluated the trends in the use of thoracoscopy for patients with mesothelioma and other thoracic diseases. They found the accuracy of the procedure for diagnosing cancer increased from 57 percent to nearly 80 percent from 1984 to 2013. The study included 2,752 patients. Cancers, including pleural mesothelioma and lung cancer, represented more than half of the diagnoses. Tassi, G.F., Marchetti, G.P., Fattibene, F. and Chiodera, P.L. (1996, June 6). Thoracoscopy in Pleural Mesothelioma Diagnosis. UC San Diego Health System. (n.d.). Medical Thoracoscopy. Boutin, C., Rey, F., Gouvernet, J., Viallat, J.R., Astoul, P. and Ledoray, V.
Low, E.M., Khoury, G.G., Matthews, A.W. and Neville, E. (1995). Prevention of Tumour Seeding Following Thoracoscopy in Mesothelioma by Prophylactic Radiotherapy. Thoracic Surgery Associates, P.C. (2003). Thoracoscopy. University of Southern California. (n.d.). A Patients Guide to Lung Surgery: The Thoracoscopy Procedure.